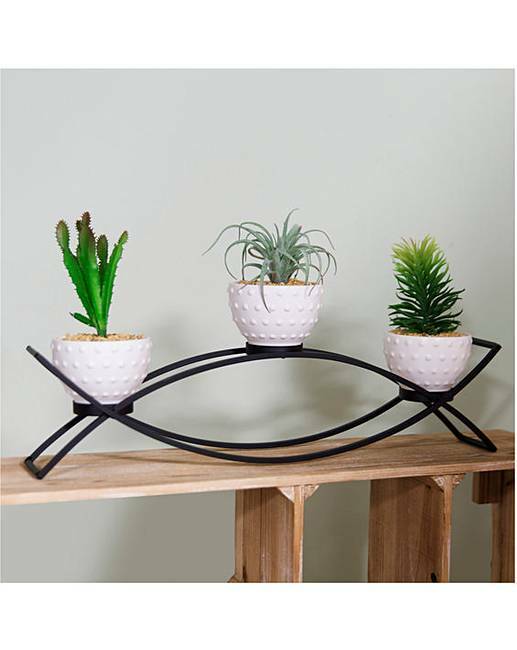 Accent your home design with the deep and vital greens of the succulents in this stylish, clean-edged Moroccan triple plant sculpture from Home Living. 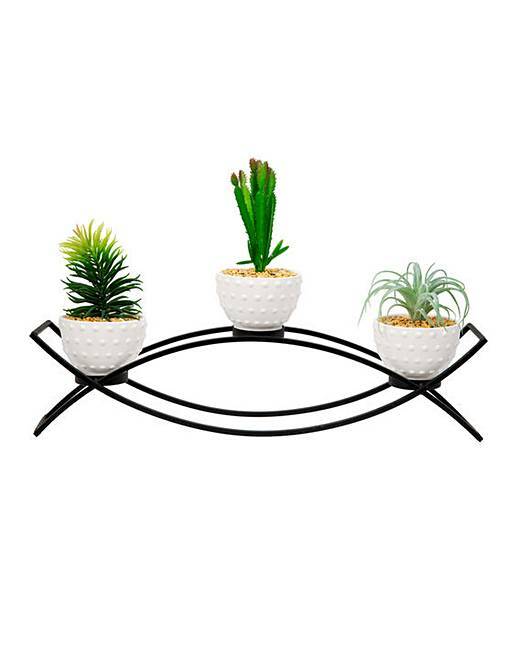 Features 3 satisfyingly symmetrical white dimpled ceramic pots on a wrought iron curved design. H.27 x W.52 x D.10.5cm.